Phenolic Thermal Insulating carb spacer. Manufactured from advanced phenolic thermoset plastic and engineered to withstand extreme high intake manifold temperatures. Phenolic Thermal Insulating carb spacer. 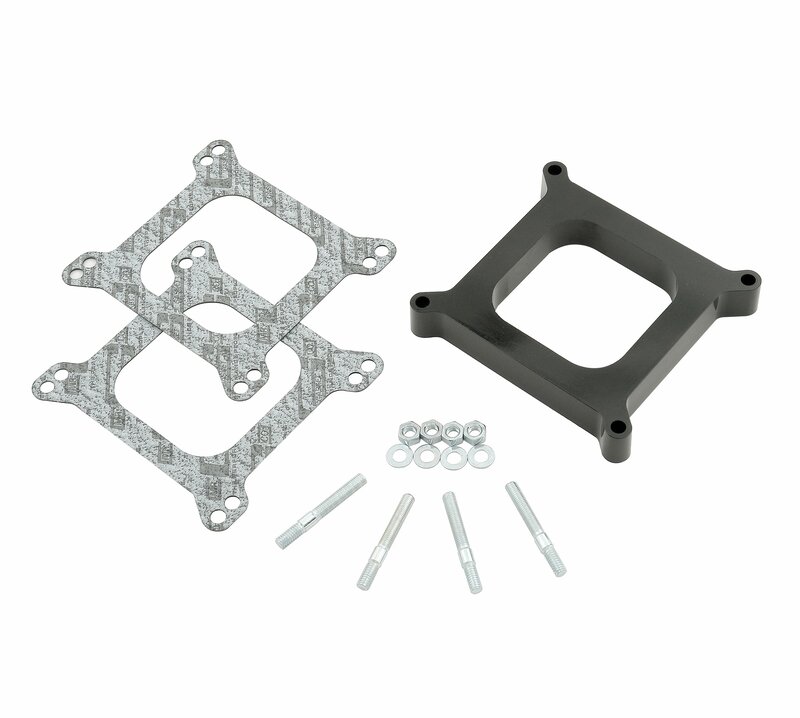 Manufactured from advanced phenolic thermoset plastic and engineered to withstand extreme high intake manifold temperatures, these spacer were designed to insulate and reduce heat flow to the carburetor keep it cooler to allow a denser fuel mixture to enter the engine and produce more horsepower. Four-hole bore manifold design 1" height. A must for any serious racing enthusiast.